Whenever we receive a new message on WhatsApp, it display a notification at the top. We can swipe down to see the notification. 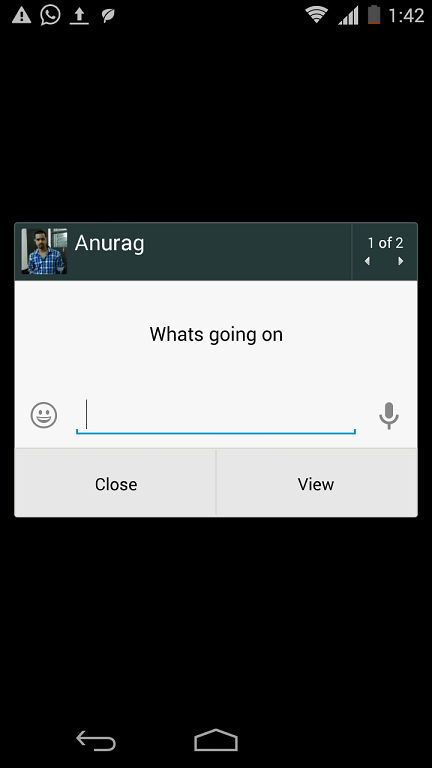 Tapping on the notification opens the message in Whatsapp. But there is a different way to get the notification. You can enable the pop-up notifications. These op-up notifications will show you message on pop-up with an option to reply directly via notification pop-up. If you device is locked, you can still see pop-up notification from WhatsApp. 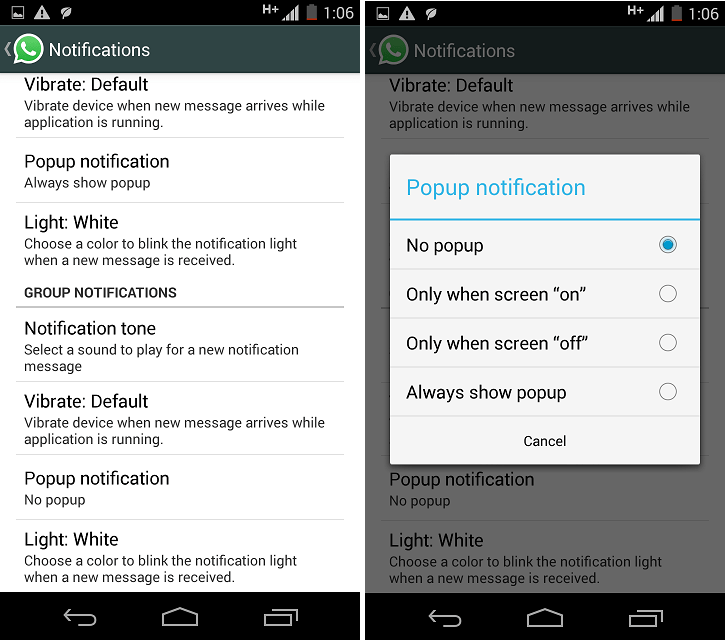 If you want to enable it, you can enable from WhatsApp notification. 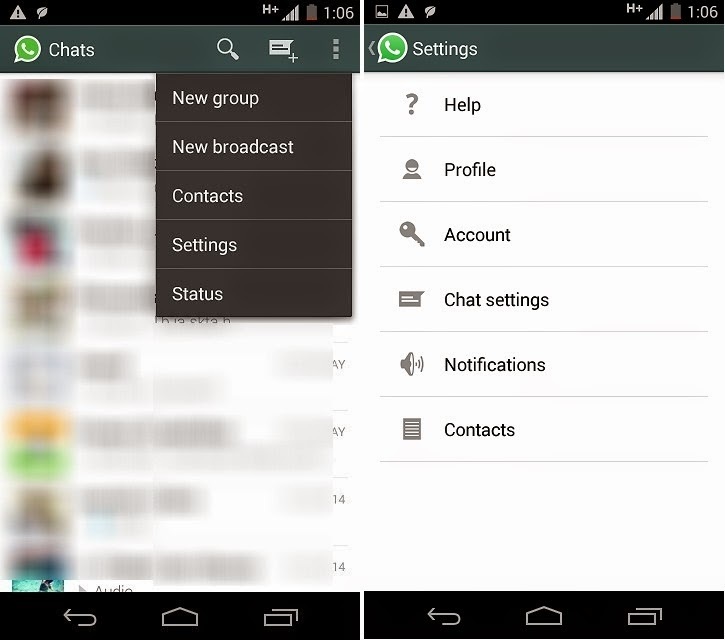 Go to WhatsApp settings and select notifications. In notifications, you will find an option for pop-up notifications. It offers three different ways to enable pop-up notifications. You can enable it only for when screen is on, or only for when the screen is off. If you want to see pop-up notifications always, you can turn it on to always show pop-up notifications. After turning this notification on, you will start receiving pop-up notifications. When you will receive a new message, it will show you a pop-up. Pop-up will also have the option to reply to this message. If there are multiple messages, it will only display the last message on the pop-up. But at the top right side of the pop-up notification, it shows the number of messages with an option to navigate through messages. If you like this notification, you can enable. Share your views with us via comments.